Chicago Pneumatic (CP) and RML have today announced a sponsorship programme which will see CP as an official supplier of pneumatic and battery powered tools to RML. The RML team was an ideal choice of partner for CP who will benefit from brand exposure on the three Chevrolet Lacetti race cars competing in the World Touring Car Championship (WTCC) and will also offer CP the opportunity to showcase their products to the European motorsport market. 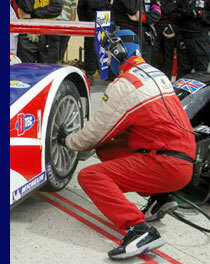 The appointment as official supplier to RML will see CP tools used extensively on all RML programmes, including the LMP2 Le Mans Series and Le Mans 24 Hours team (left, in 2006). “The World Touring Car Championship and especially the association with Chevrolet and RML is a fantastic fit for the Chicago Pneumatic brand and will really mobilise the CP organisation” commented Paul Humphreys, Global Communications Manager for the CP Vehicle Service Division. “The opportunity to work with such an innovative team and exciting motorsport championship will once again establish Chicago Pneumatic as the leader in tooling for the motorsport market”. RML worked closely with sponsorship agency Motorsport Connections who introduced the parties. Dennis Klein, Motorsport Connections Director, has worked with CP for a number of years and was instrumental in CP’s previous sponsorship programme at Rockingham Raceway where he also introduced Texaco and LearnDirect. 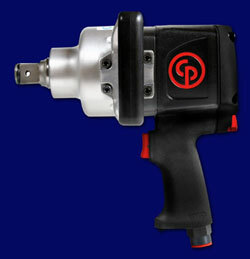 Chicago Pneumatic designs, manufactures and distributes a complete line of tools for the vehicle service industry. Founded in 1901, the company has always provided classic favorites that are the workhorse in most shops. CP has an ongoing process of continuous innovation and continues to offer consumers new, improved models representing the best thinking and design in the market place. CP continues to push innovation and is now offering a more sophisticated line of wheel tightening solutions to the Vehicle Service aftermarket known as Bluetork The primary business focus for CP Vehicle Service will continue to be North and South America, Europe, India, China, Australia and South Africa. The RML Group comprises six divisions; Motorsport, Automotive, Engines, Historic, X-Power and X-Pro. Based in Northamptonshire, England the company’s 4,300 square metre facility and includes full design, development, manufacturing and operational support for automotive engineering projects. RML has achieved success in a diverse range of motorsport categories including GT and sportscars, touring cars, rally cars, single seaters and oval speedway cars. 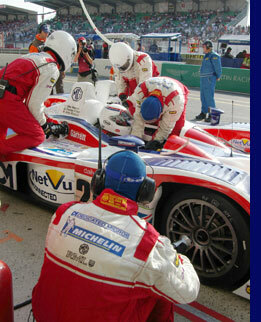 In 2006 RML teams are competing in the FIA World Touring Car Championship, the Le Mans 24 Hours and the Le Mans Series.